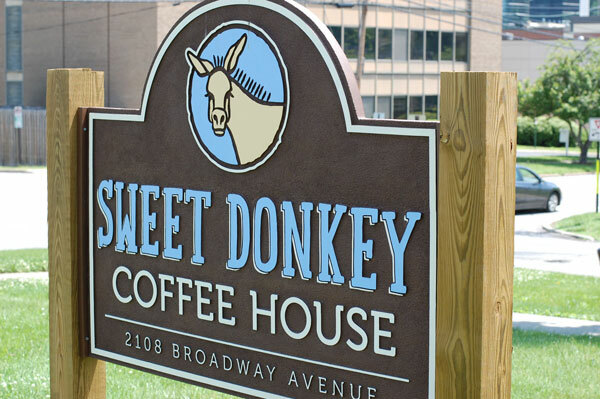 Oh How Sweet it is………..
Sweet Donkey Coffee House is the best coffee shop I have visited in Roanoke VA. This Roanoke “house” was built in 1922. Its homey feel completes the experience that I have come to expect when taking an “Esspresso Trip”. I enjoyed it’s comfortable seating options, beautiful art and décor. Each sitting area has its own unique design and personality. 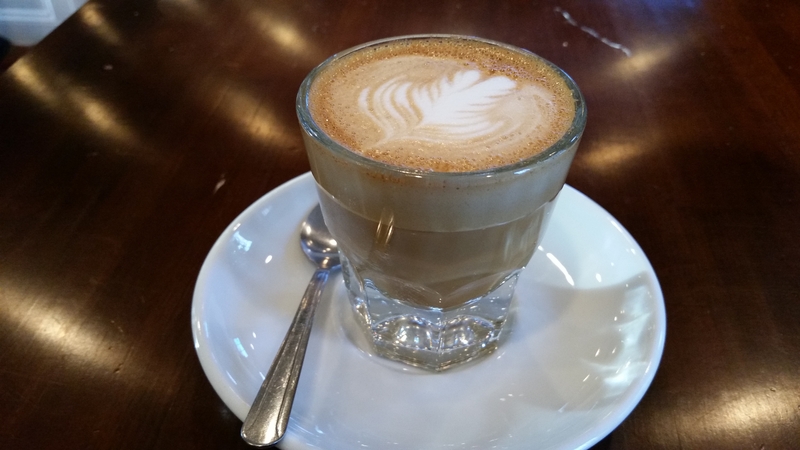 I had a Cortado: 2oz of espresso finished with 2oz of steamed milk. I would describe this drink as sophisticated with a rich and robust finish. It is definitely for the more experienced palate. My husband had one of their seasonal drinks: A Pumpkin Latte. It was absolutely superb. My girls had the chocolate butternut squash muffin. It was insanely delicious. It is clear to me that the proprietors of this establishment love coffee, their neighborhood, and their craft. The staff and baristas were beyond pleasant and professional. They really understand how to make a coffee house visit an experience. I will definitely visit again! Categories: Uncategorized | Tags: coffee, java, latte, Roanoke VA, Sweet Donkey Coffee House, tea | Permalink.